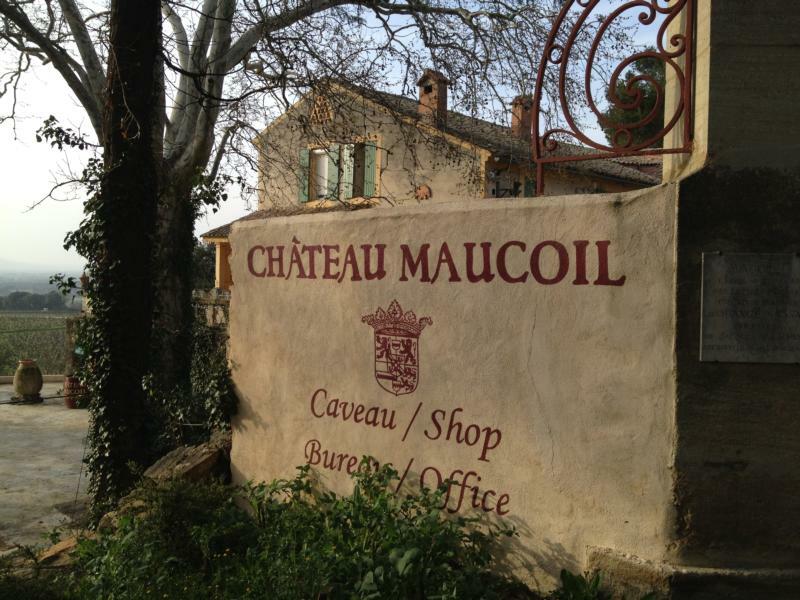 One of the oldest Chateau in the region, Chateau Maucoil's oldest parts date back to the 1st century, when a Roman legion formed a camp here around a natural spring, today called La Source de Chateau Maucoil. Located in Chateauneuf du Pape in Orange, which is named for the Dutch Prince of Nassau-Orange who resided here in the 13th century when Seigneur Joseph de la Pise first planted vineyards here, the estate is referenced in Pise's 1,000 page tome entitled, "Tableau de l'Histoire es Princes et Principaute d'Orange", which sits beneath a glass dome in the winery's tasting room. It is from this illustrated text that the family drew the inspiration for their wine labels. Wine Enthusiast 92"Maucoil's 2013 is a sturdy, full-bodied wine. It's plummy, dense and earthy, with nuances of cracked pepper and mocha showing themselves on the palate. The finish—long, firm and peppery—bodes well for aging. Drink now–2025."